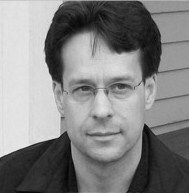 Kevin Prufer is the author of five poetry collections, the most recent of which are In a Beautiful Country (Four Way Books, 2011) and National Anthem (Four Way Books, 2008), named one of the five best poetry books of the year by Publishers Weekly. He's also editor of, among others, New European Poets (Graywolf, 2008; w/Wayne Miller) and Dunstan Thompson: on the Life & Work of a Lost American Master (Unsung Masters Series, 2010; w/D.A. Powell). The recipient of numerous national awards for poetry, he is Professor of English in the Creative Writing Program at the University of Houston. Superstition Review editor Britney Gulbrandsen conducted this email interview with Kevin Prufer. She says of the experience, "I first read Kevin Prufer's poetry last fall in the Summer 2010 issue of Colorado Review. When I came across this poem, titled 'Immortality Lecture,' I read it over and over again. I wanted to take in every word, every image, every message. I wanted to encompass the poem and understand every aspect of it. I thought it was beautiful and so honestly written. After reading more of his poetry, he has quickly become one of my favorite poets. His work is deep, but never goes too far. He makes you think about the world, the country, and yourself in such an analytical way. The images in his poems are beautiful and unique. I'm so grateful that I had the opportunity to interview Mr. Prufer and can't wait to read more of his work." Superstition Review: Religion and politics are common themes in your poetry. Where do you find the courage to write about these topics? What draws you to them? Kevin Prufer: I'm interested in poetry that communicates ideas. I grew up in a very agnostic, academic household. My father was an archaeologist and I always had the artifacts of his profession around me: books on classical history, old pots, projectile points, human bones. He and I talked about ancient Roman politics all the time and, as I wrote, I couldn't help drawing comparisons between their political systems and our own, learning quite a lot about how we operate through the lens of the Romans' lives and political writings. So I came to political poetry through an interest in history. And I suppose that's also how I came to poems about religion, first by reading what theologians and historians said about God long before I was alive, backing from there into the present. I'm not sure how much courage has to do with writing about religion or politics, however—at least not the work I'm doing. I've got a good job, a nice house, and live in a country where I can say pretty much anything without getting into serious trouble. Anna Akhmatova was a courageous poet. But what distresses me a little bit about our moment in American poetry does relate to questions of courage, anyway. I think we live in a time when poets—for all our comfort, perhaps because of all our comfort—draw foolish connections between urgency and drippiness, between strong feelings and sentimentality. Relax, my generation sometimes seems to say. Don't take things too seriously. Be cool. Keep your distance. Interrogate the language. But the casualties of our wariness about seeming sentimental and foolish are often clarity, urgency, emotional immediacy, and ambition. For me, God and politics (and history) are important, complex subjects. I'd be happy to spend my entire life trying to make sense out of them. SR: I love how you format your poetry, especially the poem "The Excavation of the Children of the Czar." Please discuss your process of choosing a poem's format. KP: I often imagine that my poems are little self-contained minds, and that each of them is working out a problem. Often, the poem never arrives at a solution, of course, or it comes to the wrong conclusion. But that doesn't matter. The important thing in many poems is the process of understanding God or history or, in that poem, death and political memory. I make use of white space to try to mimic something of the mind's struggle with the problem, offering a line break or indented line where it pauses and reconsiders, looks at another option, struggles to find the right word. Stanza breaks often signal a place where the mind changes course completely, explores a new path. SR: In "What We Did With The Empire" you write, "The tour boats on the river gone spectral in the moth light. Moon light. TV light." I love this description. Explain how you choose the right words to describe an image. SR: You have a way with endings. You are great at the punch-in-the-throat-leave-your-reader-with-something-to-ponder finish. "The Moon is Burning" ends, "I waited for your letter from the city, / but it never came." "Those Who Could Not Flee" ends with "We left the weak to perish in the street." So powerful. How do you come up with the best ending for your poems? KP: Thanks for saying that. I never know when an ending works (or not) until long after I write the poem. But often, an ending will come to me about halfway through the first draft of a poem and I'll type it at the very bottom of the page. I'll then spend the second half of the draft aiming for it. I've found that the endings I'm happiest with are those that appear to offer a conclusion, but don't. Moments where the conclusion is problematic, though the speaker of the poem may not be aware of that fact. SR: I love your unique take in "Surgical Theatre." Please explain how you chose to approach the subject of this poem. KP: Well, the poem is about dying or, at the very least, a sort of descent into senselessness. How do we write about the absence of sense, I wondered, and what does it mean to be erased—your memories, your history, your consciousness—from the world? What's left? I thought a character descending into anesthesia and, possibly, death would be a good vehicle for exploring that question. Of course, the trouble was that I couldn't figure out how to write about nothing. It kept turning into something. The best I could do was that final image, when, just before losing consciousness, the main character recollects a time long ago when school friends push him down into the snow, then bury him. I remember reworking that ending maybe thirty or forty times, never feeling quite right about it. SR: I could relate to the idea in the poem "There is No Audience for Poetry." Please discuss what this means to you. KP: In the poem, a young man is locked in the trunk of a car while other boys drive. He keeps trying to get their attention, shouting for them to pull over, banging on the walls with a tire iron, kicking. They ignore him for a while, then, finally fed up, ditch the car for a quieter one. I suppose the boy in the trunk is poetry and I imagined that the others were our politicians or our voting populace. They didn't care what the boy in the trunk said; they were going to keep driving down that road into … who knows where? Of course, I wrote the poem during the Bush administration. I suppose I was angry. I suppose I felt like poetry was a feeble way to try to change the world. SR: I love how you escape back to childhood in "Playground." What role do you feel your childhood has played in your writing life? KP: Well, I don't write about my childhood. I try to avoid myself as a subject as much as I can, in fact. By avoiding my life, I find that a whole world of subjects opens up to me. There is, after all, so much more of the world that is not me than is me. But I had a lucky childhood for a poet. My family was well-educated and owned many books. We were all encouraged to read, to hang out in libraries, to explore ideas. My stepfather read stories to me at night and my mother read me poems and still writes them (very well) herself. When I decided to become a writer, no one laughed at me or asked me how I was ever going to make a living. In fact, I sometimes felt like being a writer (or maybe a scholar) was the absolute best thing anyone could hope to become. I'm not sure that's actually true, but I definitely got that idea from my parents. SR: In the poem "Immortality Lecture" you hide a heavy topic within the crisp description of a cartoon show. Please explain the process of writing ideas—how and when they come to you, how you keep track of them, what you do with them, how you transform them from ideas to actual poems. KP: I'm not really sure how to answer this, since the strategy varies so much from poem to poem. Sometimes I begin with an image. In this case, a student of mine had been writing about cartoons in a very post-modern, emotionally affect-less way. I'd come to think, though, that the constant death and rebirth of cartoon characters—Wile E. Coyote, Jerry the cat, Elmer Fudd—really might appeal to us more emotionally and fundamentally. Cartoon characters, who are always blown to bits, shot full of holes, dropped from high cliffs, are effectively immortal. They always return from devastating violence to make us laugh in the next scene. They are what we want to be and, so, seem like an ideal vehicle for exploring immortality, especially through the eyes of a man simultaneously observing his children (who will hopefully survive him) and the constant death-and-rebirth of cartoon characters on TV. But just as often, a poem will begin not with an idea, but with a particular image or, more recently, a situation. What if a strange man came to your costume party dressed like the devil? What if the moon caught fire and started raining ash down on all of us? What if a giant parachute covered up the entire city? SR: In "A Boy Like Your Mother" you describe a child's breathing as "mechanical and strange." I love this. It's so true, and yet so different from what we're used to hearing. Please describe your process of finding this word choice. KP: Well, the father in that poem doesn't know what to make of his young son, who is so different from him, has such separate concerns and worries and responses to the world. To him, the child is like a sort of mysterious machine—foreign, of unknown utility and vast complexity. I imagine this is how parents must often feel (though I have no children myself). I do not know how the words come to me, though. I'll try lots of words out, one after the other, until I find the ones that seem (at least in cases like this) the most emotionally accurate. KP: I'm writing a book of narrative poems tentatively titled tick, tick, tick. I'm trying, in these poems, to weave competing narratives together, some "true" and others imagined by the characters who participate in them. I'm interested in how we tell stories, how our perception of narrative and causality often says more about ourselves and our ways of viewing the world than it does about truth, which to me seems ungraspable and distant.